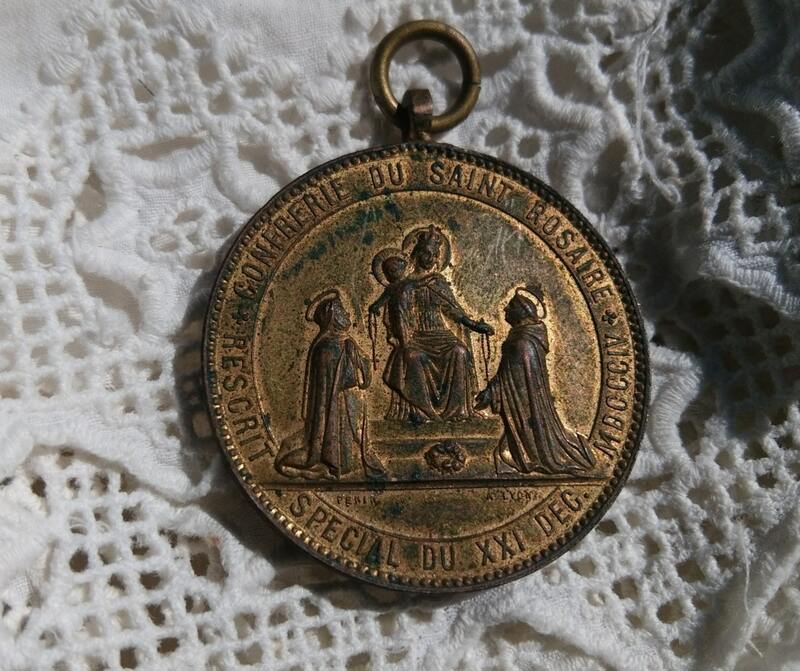 Penin Lyon signed Rare 1869 Our Lady Medal Confraternity of Saint Rosary . Special Rescrit from December 21th 1804. Showing Virgin in Majesty, giving the necklace rosary to St. Catherine and St. Dominic. St Madeleine Parish from Béziers. 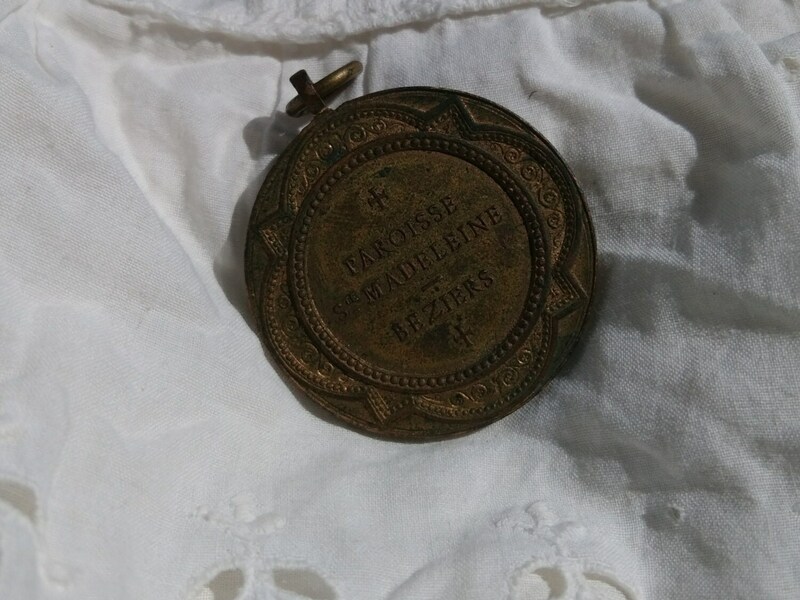 French written: CONFRATERNITE DU SAINT ROSAIRE- RESCRIT SPECIAL DU XXI DEC MDCCCIV- on reverse : Paroisse Ste Madeleine Béziers. 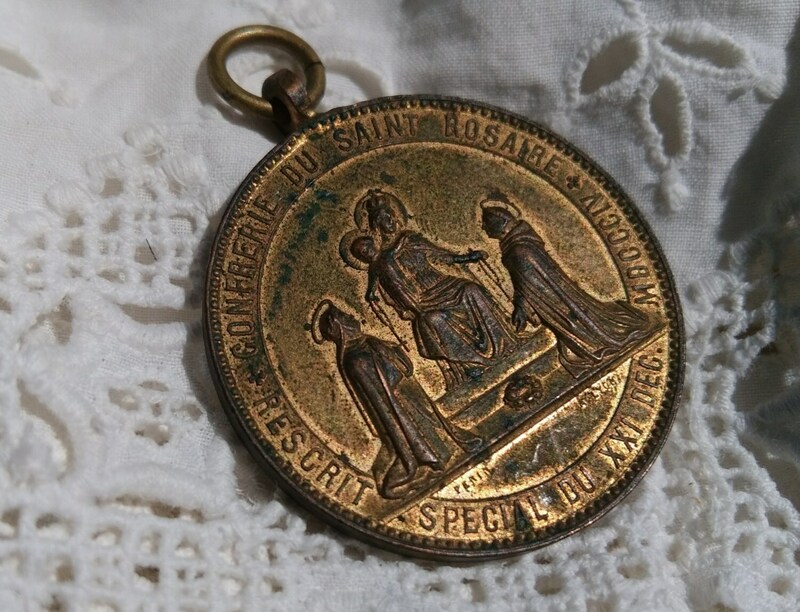 Beautiful, Rare and original St Rosary French medal. 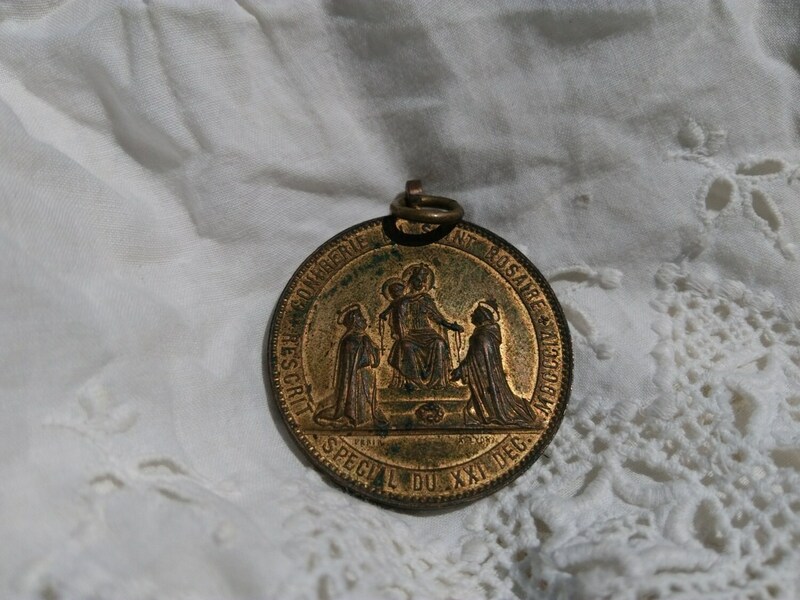 Ludovic Penin (1830-1868), son of Marius Penin, Lyon medal engraver, Pope engraver granted in 1864 by Catholic pope Pie IX. (...) The Confraternity of the Holy Rosary is a Roman Catholic spiritual association, under the care and guidance of the Dominican Order. The members of the confraternity strive to pray the entire Holy Rosary weekly. Through the preaching of Alanus de Rupe (Alan de la Roche) such associations began to be erected shortly before 1475. One of the first was erected at Cologne in 1474 by Fr. James Sprenger. The Perpetual Rosary is an organization for securing the continuous recitation of the Rosary by day and night among a number of associates who perform their allotted share at stated times. This is a development of the Rosary Confraternity, and dates from the seventeenth century. (...) Since the Rosary is composed, principally and in substance, of the prayer of Christ and the Angelic Salutation, that is, the Our Father and the Hail Mary, it was without doubt the first prayer and the principal devotion of the faithful and has been in use all through the centuries, from the time of the apostles and disciples down to the present. At last, at the prayer of Saint Dominic, the storm came to an end, and he went on preaching. 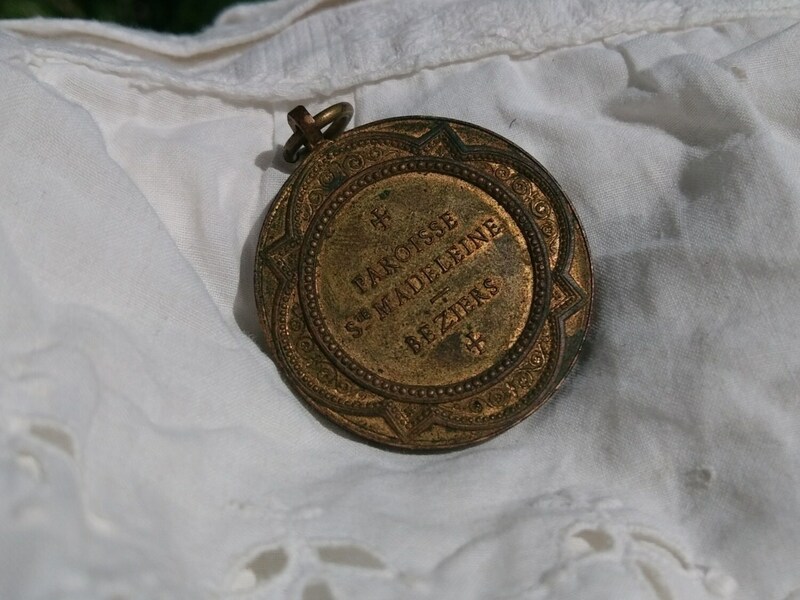 So fervently and compellingly did he explain the importance and value of the Rosary that almost all the people of Toulouse embraced it and renounced their false beliefs. In a very short time a great improvement was seen in the town; people began leading Christian lives and gave up their former bad habits (...).